(also great for French Press Filter Mesh Screens, Reusable Cone Drip Coffee Filters for Chemex, Hario V60 and other Stainless Steel Filters). Espro Deep clean manufactured by Urnex Brands, LLC (www.urnex.com, 1-800-222-2826). Works very well and pressing is much easier now that the screens are clean. Thanks a bunch! Thank you Scott for your feedback. Enjoy your coffee, FrenchPressCoffee.com! Thank you for your feedback. Enjoy your coffee! Espro Deep Clean provides a hassle-free way to clean your prized Espro Press Micro-filters (also great for French Press Filter Mesh Screens, Reusable Cone Drip Coffee Filters for Chemex, Hario V60 and other Stainless Steel Filters). 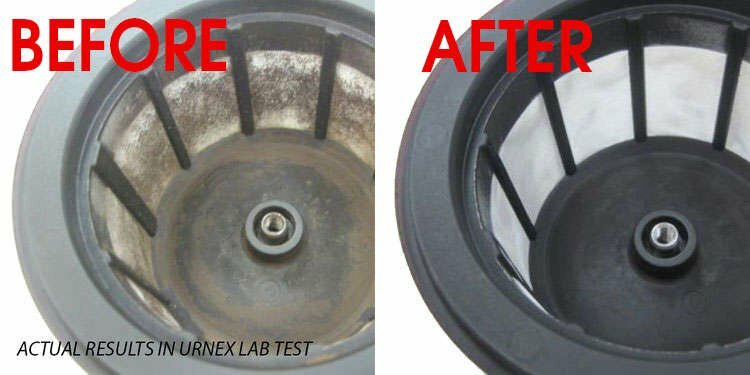 Espro has teamed up with Urnex to create a special formula for the recommended monthly deep cleans of your French Press filter screen that remove the solids that build up in their nooks and crannies. Deep Clean provides an easy, scrub-free way to keep your Espro or French Press in top shape. Your press filters should be deep cleaned each month if used regularly. This cleaning helps to remove small particles of coffee and tea that can block up your filter and impact negatively on its performance. A monthly deep clean also removes stale oils and tastes that can damage the flavor of your coffee and tea. Deep Clean's special formula cleans the most complex and delicate microfilters without having to scrub them. Deep Clean works on both etched and woven microfilters to restore them to a like new condition again. After years of testing Espro came up with this made in the USA formula with the beverage cleaning specialist Urnex to be completely scrub-free cleaner. Deep Clean makes cleaning Espro Press or French Presses easy. 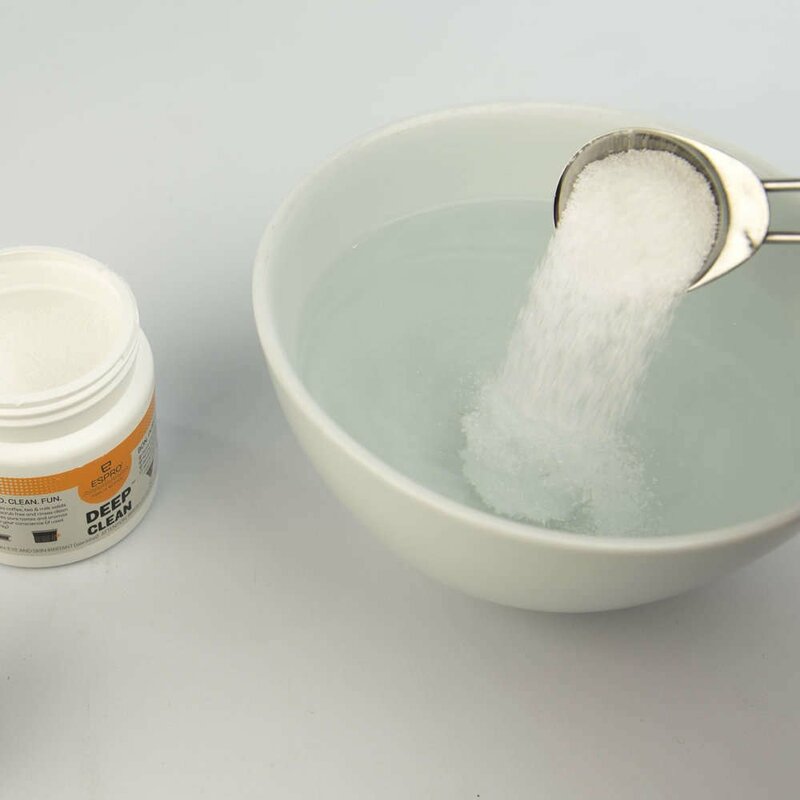 Simply mix one tablespoon of Deep Clean with 500mL of warm water (about 80 C) and stir until it's dissolved. Soak your filters in the mixture for 30 minutes, while your coffee oils or tea and milk solids dissolve in a flash. Then rinse your filter out and pop it back into the press carefully. TIP: In addition to monthly deep cleans, you should also clean your Espro or French Press on a daily basis. To do that, remove your filter from your press. Then disassemble your Espro filter by twisting the bottom to unlock it from the top.Then remove the top filter from the shaft by unscrewing it. You can then use a bottle brush to clean the inside and outside of both filters. Scrub the filter surfaces, rinse them well, and then allow them to dry. Once your filters have dried, screw the shaft into the top filter again and then twist lock the bottom filter onto the top filter. This holds the two parts of the filter together and keeps your coffee press going so that you can enjoy cup after cup. When Do You Need A New Espro Filter? 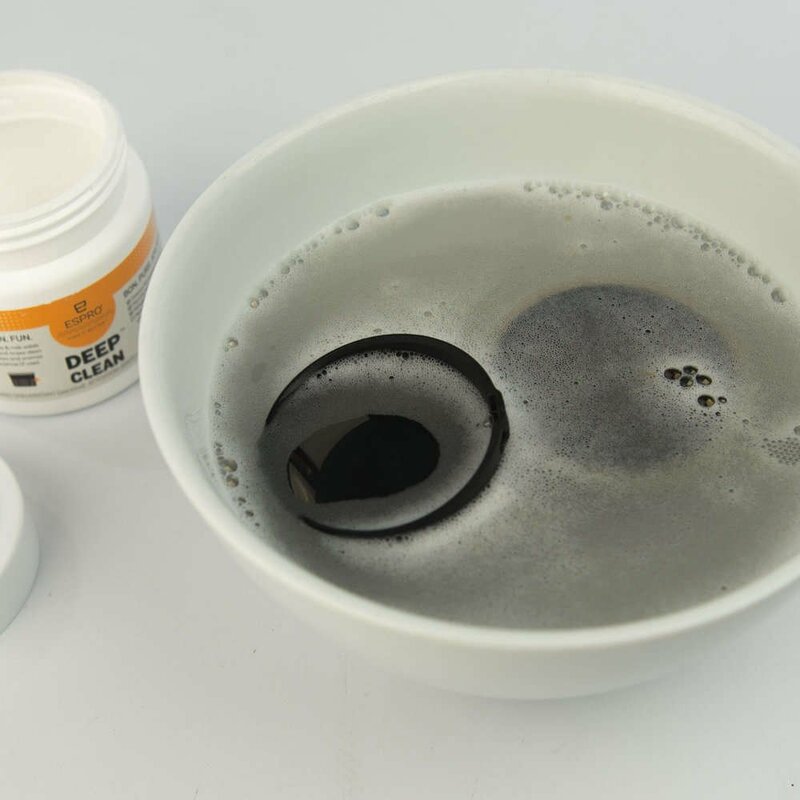 Espro Deep Clean will clear up most blocked filters, but you should replace your filter if you notice that it is moldy, torn, the lip seal is damaged, or the O ring doesn't properly attach the bottom filter to the top filter.